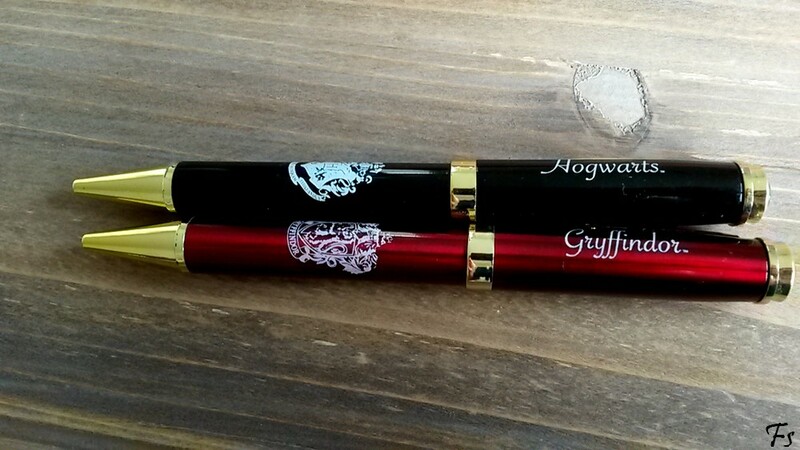 This week’s Merchandise Monday is Harry Potter related. Look at these beautiful pens. They are my daily companions at university and everything related to it. I bought them in the fan shop in Kings Cross, London, next to platform 9 3/4 (did I mention that I’ve been there 3 times now? Last time was the first time there was a shop, though). Sam and I spent like more than an hour in it and tried not to spend our last pennies in it. So why did I buy two instead of one pen? Well, this is easy to answer. Because I couldn’t descide which one to pick and Sam helped me with the great idea to just buy them both, which I promptly did.